This one is a bit different to the first two (see here and here). 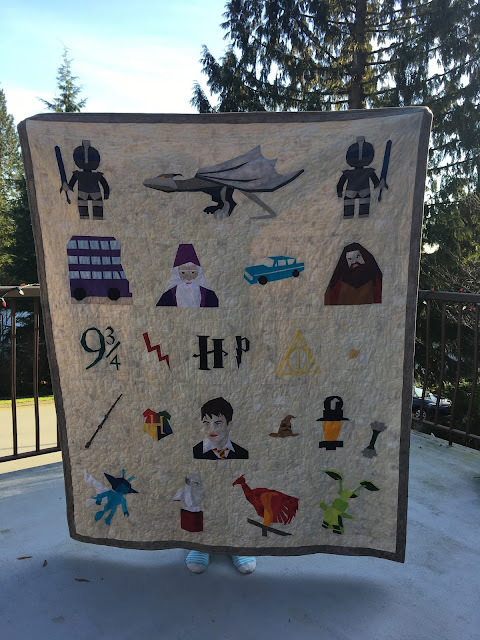 This quilt is for my eldest child who has finished all the books and watched all the films many times! She doesn't play the lego game like the other two kids so she wouldn't get some of the references that Whims and Fancies made for including certain blocks in her quilt along. The eyes were tricky on these blocks. 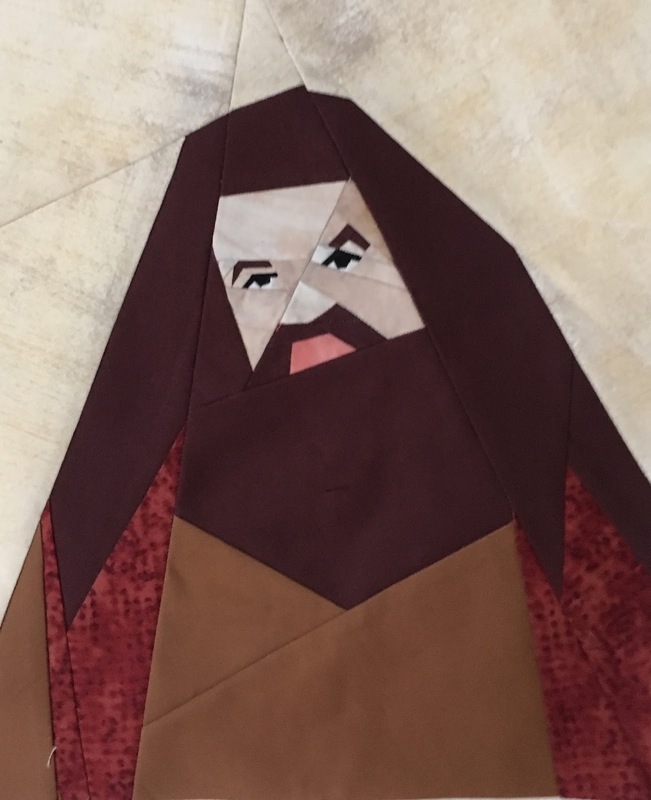 One of Hagrid's eyes had I think 15 pieces and measured about an inch! Such tiny pieces! Not what is needed when in a rush! And I enlarged the blocks to be closer to 12 inches. I saw the old Ford Anglia and just had to include that too and the bus. I didn't take photos of all the blocks as I was too consumed with time running out and forever moving onto the next block! I was also unable to post anything to my usual IG account as my eldest daughter follows me and it would have spoiled any kind of remaining surprise. So it never occurred to me to take a photos on completion of a block. 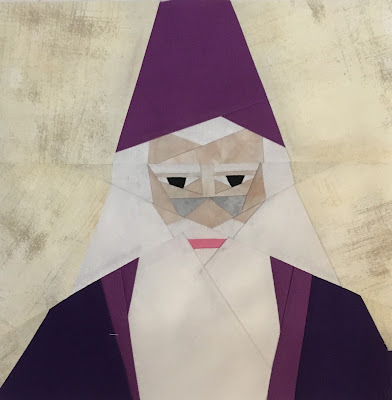 They often wander into my sewing room and occasionally I would forget I had stuck a block on the wall, so there's a very good chance they saw some of the construction phases. This quilt top was completed on Christmas Eve at about 4.30pm with the aid of some wine. Fortunately I had done just about everything else I had to do for the big day, so I was able to spend some time frantically getting the top together and kind of basted so I could at least hand it over in a somewhat complete state. 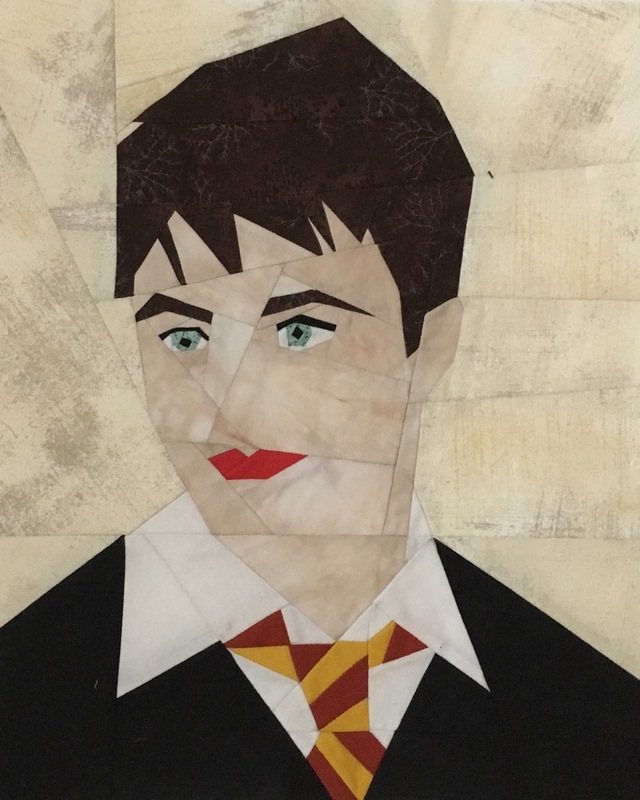 Nice job on these Harry Potter quilts. 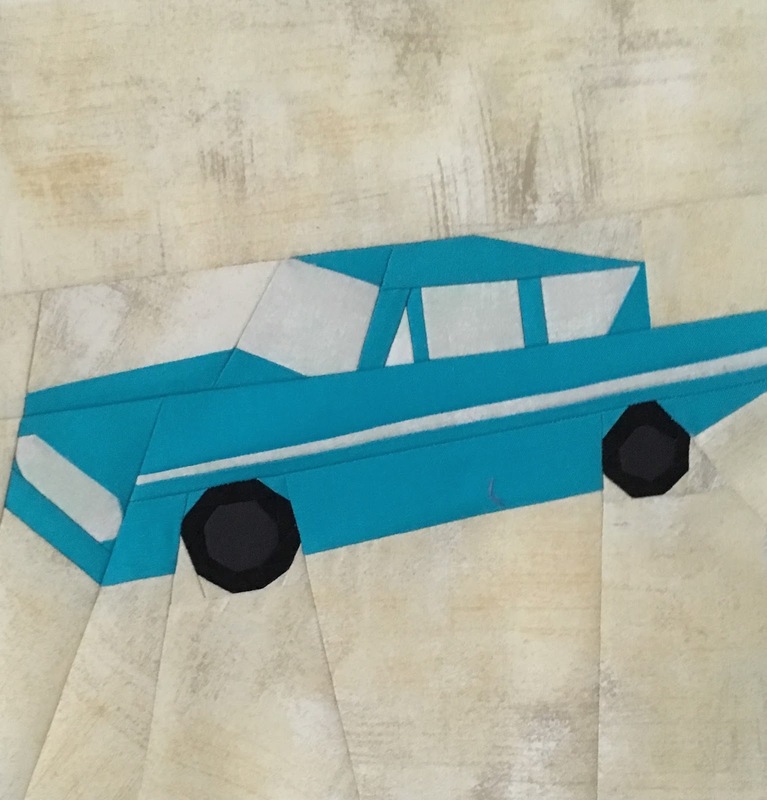 I have some nieces who would love a quilt like this! How great you had the energy to change up some of the blocks when you came to make quilt 3, I love them all! Thanks for joining the Finish-A-Long!